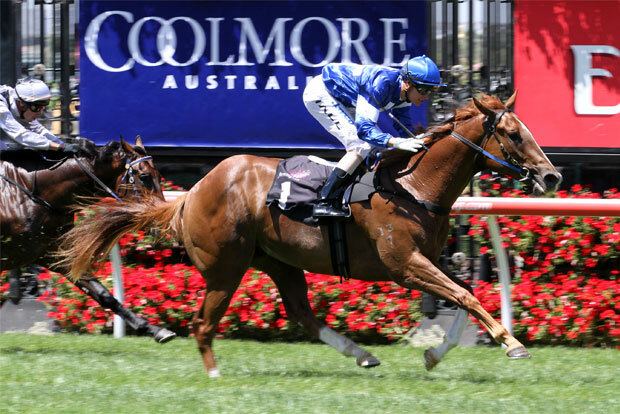 Sportingbet Australia has installed Star Witness as an $8 favourite to win the Group I Australian Guineas (1600m) after incurring a massive liability on the Danny O’Brien-trained colt. Sportingbet Australia chief executive Michael Sullivan said one of the agency’s customers has backed the son of Starcraft to win $500,000 if the three-year-old takes out the March 5 feature. “One punter came in with $50,000 at $11 for Star Witness and you’d have to suggest it’s a confident bet,” said Sullivan. Sullivan said he would be an interested observer when the Starcraft colt resumes. “As he has only won up to 1200 metres you’d think he would need a slightly different preparation,” Sullivan said. Star Witness holds sway in betting ahead of the high quality New Zealand filly We Can Say It Now at $10, while the Caulfield Guineas winner Anacheeva is the third pick at $11. Mr Chard and the Chris Waller-trained three-year-old Pressday are next in betting at $14.